Rounders: it isn’t just school PE, you know? One ball, one bat, and a bit of enthusiasm is all you need to get involved in one of England’s most-loved sports. 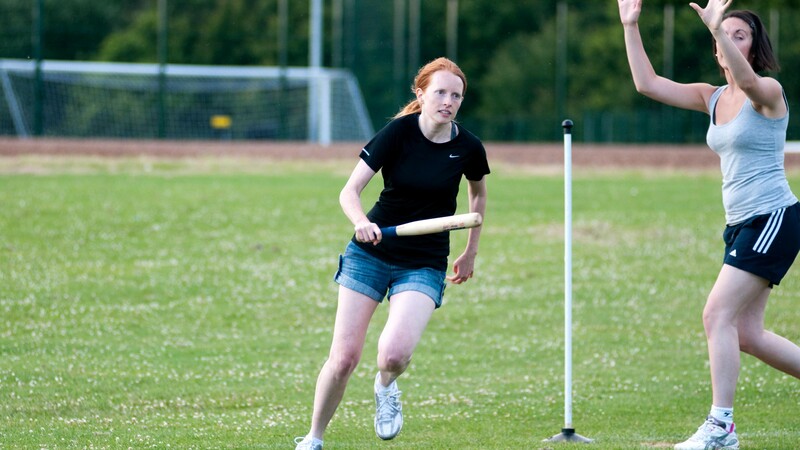 Whether you fancy indoors or outdoors, competitive or just a bit of fun, rounders might just be the thing for you. It’s played by two teams, with the aim of scoring the most rounders. Your team either fields and bowls, while the other team bats. When batting, the aim is to hit the ball, then run round up to four posts. A round is scored when you make a full run. But don’t let these rules put you off as the game can be made as simple as possible! You’ll need some clothes you’re happy to run about in…and that’s about it! If you’re joining a club, you may be provided with a kit or uniform. If you want to find out more about rounders, BBC Get Inspired has some great info.